The Jecza Gallery show is titled ‘Now’. ‘Now’ is the name of one of the works from the ‘shelter’ series. McAdam Freud describes ‘Now’ as a shelter we all need to occupy. Jane McAdam Freud’s exhibition features a corpus of artworks made during her residency at Harrow School, between September 2015 and July 2017. I was very impressed by these selected works. I was struck by such an amount of good art. The Jecza Gallery show is titled ‘Now’. ‘Now’ is the name of one of the works from the ‘shelter’ series. McAdam Freud describes ‘Now’ as a shelter we all need to occupy. In her interview with me in January 2018, Jane said that her most important work is: “always the one I am doing ‘Now’. Now is my favorite time. If you are really alive, you can only be in the present“. At the Jecza Gallery, Jane is revisiting the ready-made again with her uniquely original approach. She makes art as an analyst might make a case study. 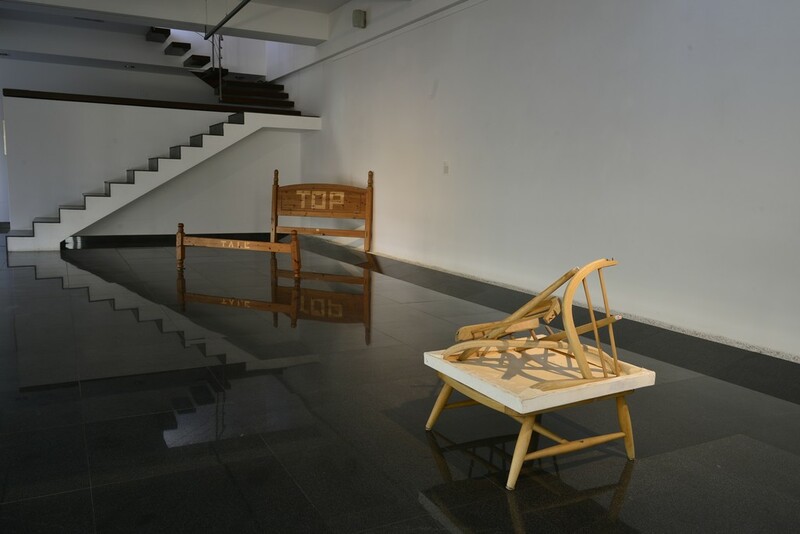 Conceptualising external events through her art practice, she operates like an analyst putting her objects on the couch. Following the concept of her great-grandfather Sigmund Freud – ‘to make the unconscious conscious’ – she emphasizes the hidden or submerged. The awestruck history of one of the oldest and most prestigious educational establishments for boys in Britain Jane found both inspiring and challenging. Her approach follows that of Duchampian appropriation that by making her marks on these objects she is able to make these coveted objects hers. By putting her well-honed instincts ahead of any conscious plan she makes multi-layered works which speak conceptually to the viewer on two levels; both on an instructional level and a subliminal one. The self-analysis/identity theme is one of the most current and interesting notions of Jane McAdam Freud’s art and is part of her general artistic conduit which proved to be a meaningful encounter with herself. 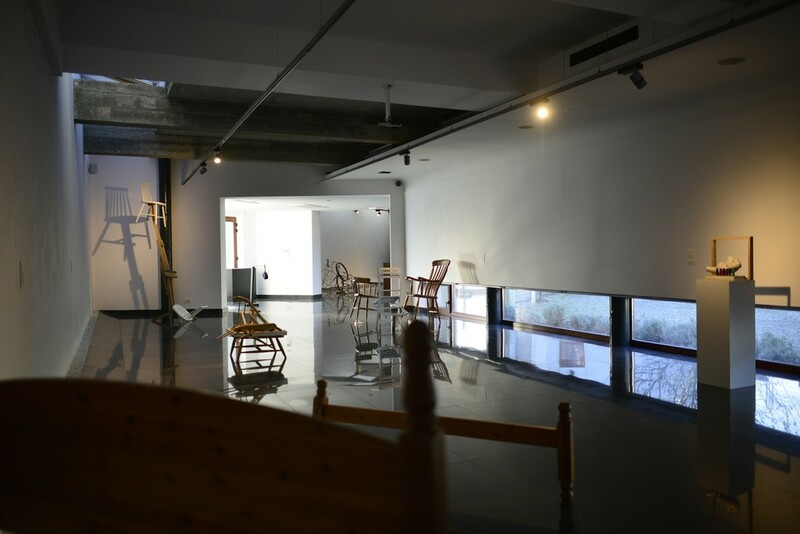 In Harrow, the furniture and other small objects left in the studio she had inherited for two years were marked by the old traditions of art practice which recalled for Jane the Adornian theories of art autonomy in relation with culture industry. 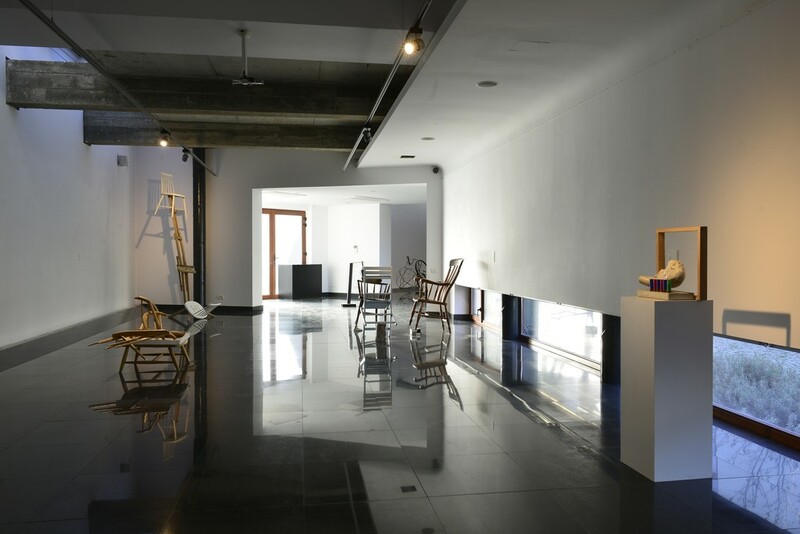 Everything in the studio became a possible work of art, even the metal wastes, the piles of rusty, the easels or the thrown away painted canvases. 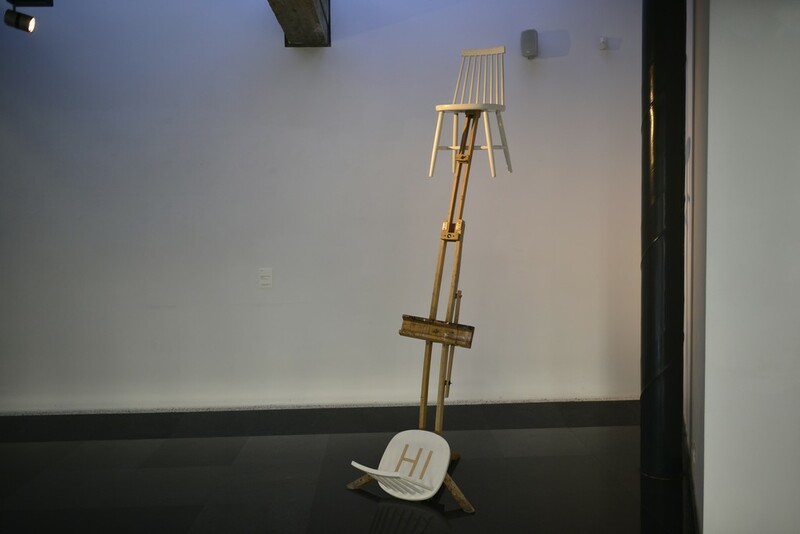 The relationship between the two traditional modes of art expression, sculpture and painting, was questioned by creating sculptural installations with objects related to painting ( Am I Fixed Yet?, High Chair). 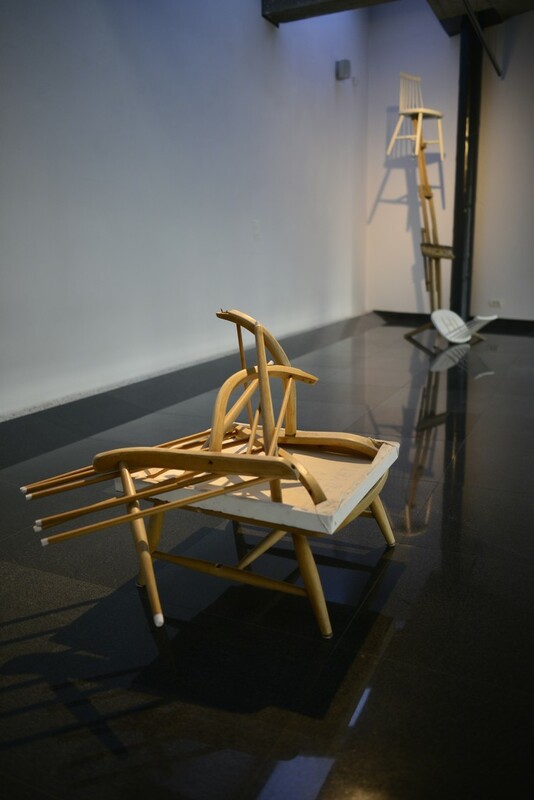 On the other hand, in works such as Plan, Draw, Top End or Object Conversation she worked with the methods of Conceptual Art, carving significant words on the objects surfaces in order to confront her thoughts through her actions, or make a physical representation of the idea (linked to Sigmund Freud’s Thing Theory). 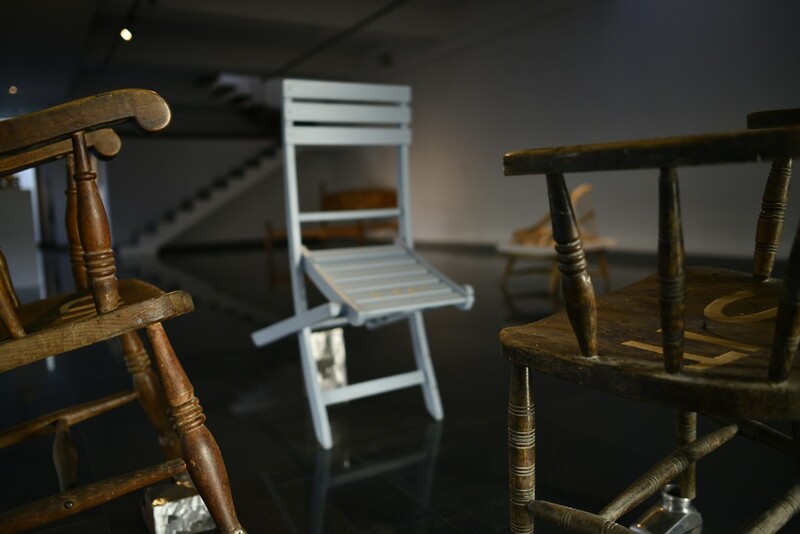 For Jane, the objects have their own existence, her interventions operate to give these objects new and unexpected meanings. 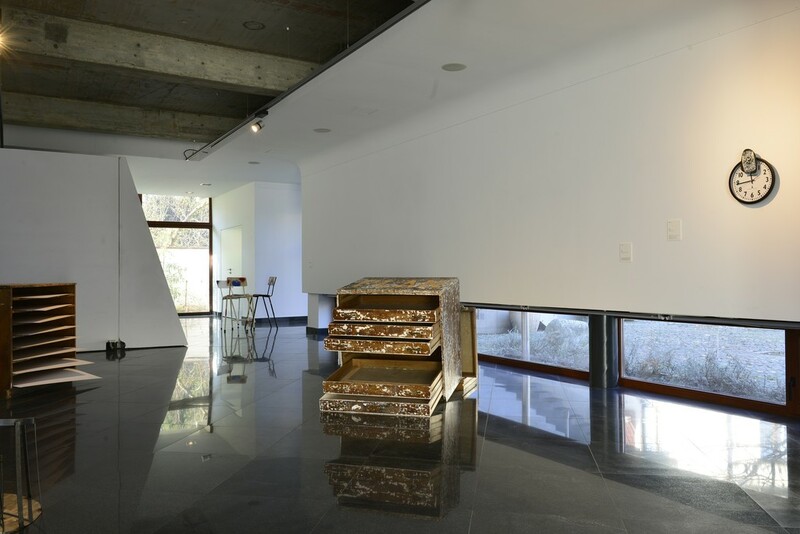 Thus, arranging colorful empty bullets with a classical marble torso sculpture within an empty wooden frame, (You Kill Me) becomes a statement of Harrow’s role as a muse for the artist. 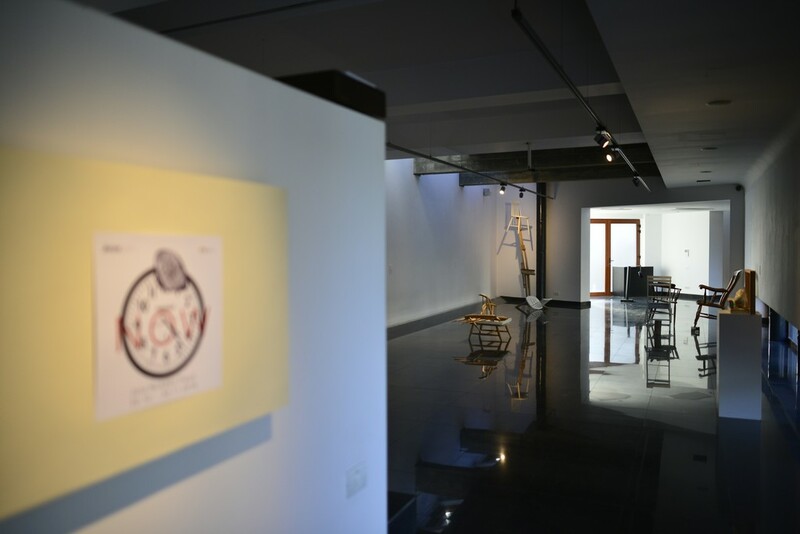 The exhibition is made in partnership with Gazelli Art House London and is supported by Timișoara – European Capital of Culture Association.